I've mentioned often that one of the reasons why we homeschool is because it is important to me that my children receive a strong Bible education. In addition to encouraging my children to have a private devotional time each morning, I also set aside a portion of our school day for us to study the Bible together. Having a good Bible curriculum for that time is essential. For the past few weeks, we've been using Resurrection - Multi-Level Bible study from Grapevine Studies. Last year we used the Birth of Jesus study, so my girls were excited to use the Resurrection study. For this review, we received a digital download of Resurrection - Multi-Level. Daily and weekly schedules for teaching the multi-level books - You can choose the best way for your family. 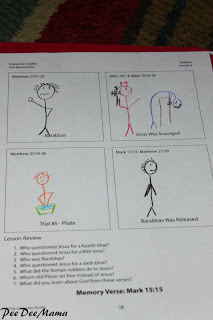 Examples of how to stick figure draw each portion of Scripture that you can follow exactly or encourage your students to draw their own interpretation. I know that my children get much more out of what I'm trying to teach them when they are actively involved in the lesson. I really like that they get to draw their interpretation (or copy my drawing) for each passage of Scripture that we read together. The first day of each week (except for the first week) is a review. The girls draw their pictures for the last 3 timeline events. We also review the memory verses that were learned in previous weeks. On the 2nd day, we do the first page from the student book for the lesson, and on the 3rd day, we do the second page from the student book. There are 4 Scripture passages per page, so I let each girl read one of the passages. Then I summarize what was read and draw a stick figure drawing on the marker board for each passage. The girls either copy what I draw or create their own drawing for the reading. We also work on the memory verse for that lesson. On the 4th day of the week, there is a drawing review page. This is my girls' favorite page because they get to choose their favorite passage from the lesson and draw it. 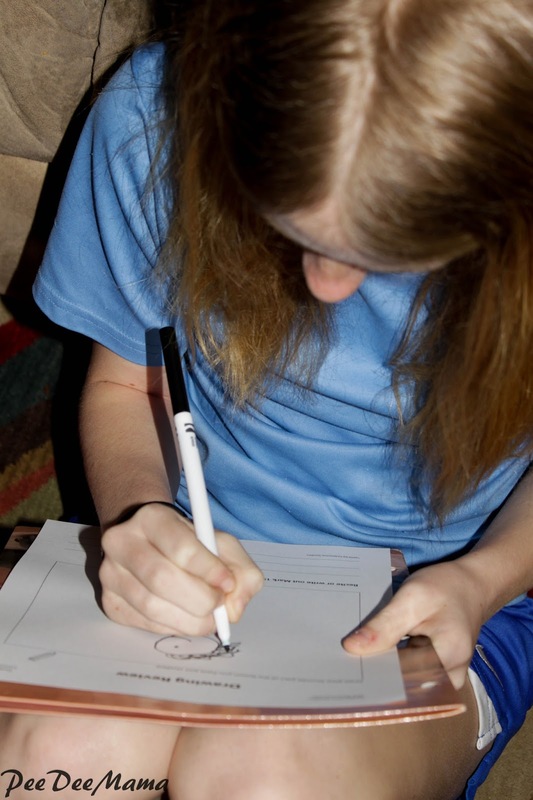 I find it amazing that usually all 4 girls choose a different passage to draw. Sassy - I like this because I learn a lot and I get to color a lot. Little Red - This helps me learn by drawing pictures. I like how we have a memory verse for each lesson. Ballerina - The Grapevine Studies are helpful for people who can't picture what they read very well. 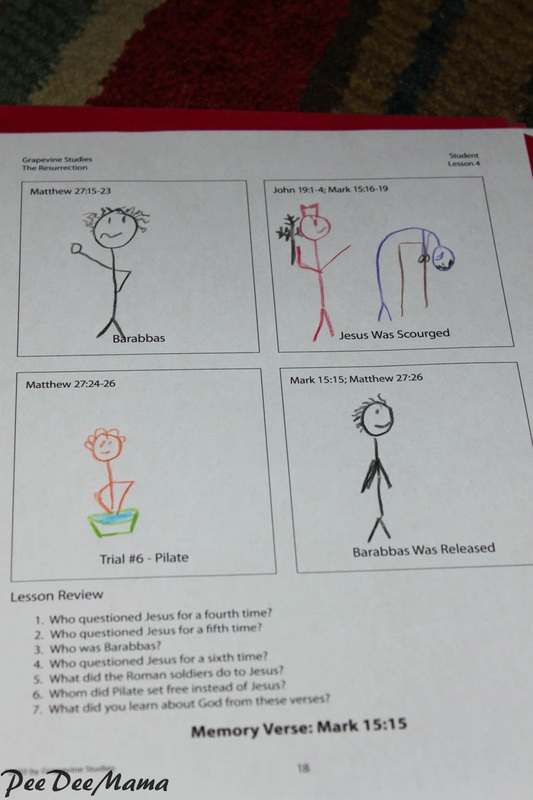 Drawing the pictures make the Bible seem more real instead of just a bunch of old stories. Soccer Girl - By drawing pictures, it helps me learn more. The Resurrection - Multi-level study isn't the only study offered by Grapevine Studies. There are quite a few to choose from. 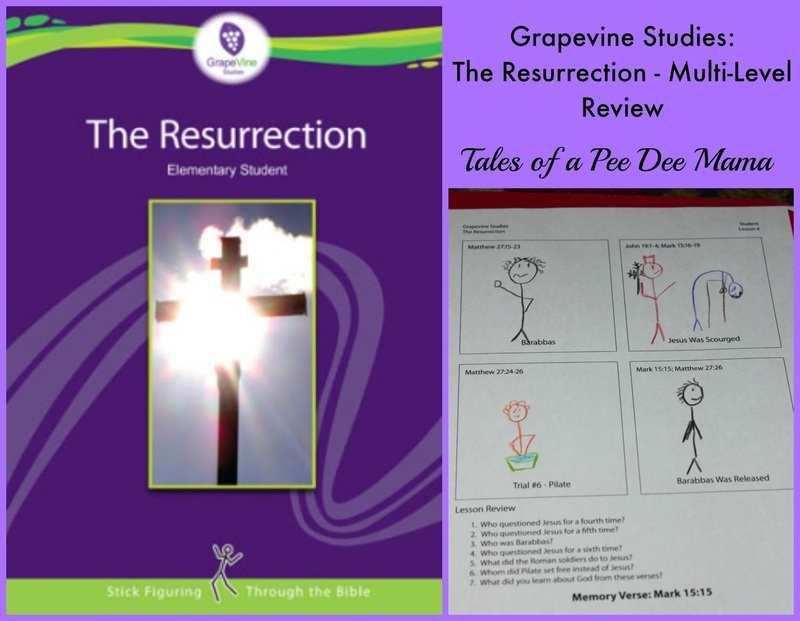 Because I have such a variety of ages, I really appreciate the multi-level studies that Grapevine Studies offers. They also have individual levels for their topical studies. You can learn more about Grapevine Studies on social media: Facebook Twitter Pinterest Are you interested in what others have thought about Grapevine Studies? Check out more reviews from the Schoolhouse Review Crew.